It was “Grandparents and Special Friends” Day at our children’s school today. My mum and dad were able to come up and visit the children and listen to them explaining their school work and showing them their special pieces of art. It was so lovely. Little Master 7 showed Poppa all his maths work and took great pride in explaining each page – he always says he’s a “Reading Machine” and now he’s a “Math’s Machine” (he must get his maths ‘genes’ from his dad ‘cos he sure doesn’t get them from me!!!LOL.) Little Miss 9 made a pottery pencil holder with Gran and showed her all around the computers and they played some maths challenge games together. My dear friend Linda surprised Little Miss 9 by arriving at 10.30am… Little Miss 9 had invited our friend Linda but as she lives in Bridgewater, I thought it would be a real stretch for her to make it (and so had prepared Little Miss 9 so as to avoid disappointment)… but I had secretly been TEXTing with Linda and knew she could make it afterall!! YAY!!!!! Having a friend like Linda is such a special gift and I’m so thankful for knowing her… this card is in honour of friendships, even if distance keeps us apart, we are not apart in our hearts. The Nicest Things. Design by Julia. 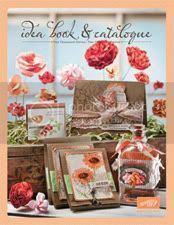 Stamped Images © Stampin’ Up! The stamped image is from the set “The Nicest Things”, and I’ve watercoloured the image on Stampin’ Up! watercolour paper. This is a lovely simple design and very quick to put together. I ran a Stampin’ Up! paper daisy through my Big Shot with the Perfect Polka Dots embossing folder which I had inked with Marina Mist ink. It’s a pretty effect, yes? I also punched a border with the Scallop Trim border and corner punches – I just adore these punches!!! (SPOILER ALERT….. You wait until the December Summer mini….. there is another GORGEOUS punch design – corner and matching edge- coming out!!!! OHhhhhhhh, soooo pretty!) But you’ll just have to wait, tee hee. A very BIG HAPPY BIRTHDAY!!!!! to my friend, Maria!!!! It’s a Stampin’ Up! 5 X 5 On Board Art Journal that I’ve covered with Bella Rose Designer Series Paper and then decorated with a combination of stamps: Baroque Motifs, Vintage Vogue (Autumn-Winter Mini catalogue, available from 1st April), and Friends 24-7, and cardstock: Chocolate Chip. Close to Cocoa and Very Vanilla. The inks that I’ve used are, Riding Hood Red, Chocolate Chip, Creamy Caramel, More Mustard and Close to Cocoa. I’ve also sponged around the edges to soften the cardstock. The reason these gifts “Give Twice” is that I get immense joy from making them, and then (hopefully), Maria will get some joy in using them. 🙂 See, it makes two people happy! *smiles*. It’s also the first time that I’ve attempted to decorate a candle. I wheeled the Jumbo Wheel, Friendly Words in Riding Hood Red ink onto white tissue paper and trimmed it down to wrap around the candle comfortably. I held the stamped tissue paper on the candle and used my Heat Tool to gently melt the surface of the wax. As the wax melts, the tissue paper will blend into the candle and (hopefully) hide all evidence of the tissue paper. Fun. I love decorating journals – and it’s even more fun when it’s for a gift! I loved the colours Summer Sun and Pacific Point – so Bright – like Linda! The saying is “Everything: All things that are meaningful to you. All that you know; the whole world.” I wanted her to be able to use this journal in any way that was important to her, whether to record family memories, anecdotes, wishes, messages or whatever… and that saying said it all. I adore the chipboard birdies and branches! 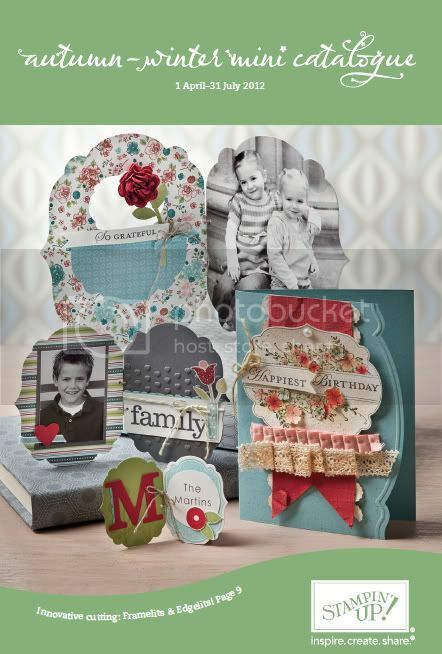 The chipboard is so easy to cover in cardstock or you could even ink them in your favourite colours. Very versatile! I’ve also added a couple of felt flowers from the Flower Fusion tin to the branch and bottom corner of the journal – very cute. Recently my dear friend, Linda, and her family (my son’s best friend) moved out of our small country town in the Barossa Valley to look for their new Home in the Adelaide Hills. This is the card I made to wish them Luck while they searched for their perfect Home. The funny thing, which I didn’t know at the time, was that they were going to stay in a Town House in Norwood temporarily while they looked for their new home, and it looked exactly like the little town houses next to each other on this card! I miss Linda so much; it just isn’t the same at the school-run without her and I miss her bright, bubbly smile and long chats over tea/coffee. Our boys miss each other terribly, too; we spoke about this last time we caught up and decided that we’d underestimated how much the boys thought of each other (they’re only 6 years old and I didn’t realise how attached they were). I’m happy to say that Linda and family have now found their new home and will be moving in before Easter. Can’t wait to go along and visit them!!! You know when some cards just come together nicely? Well, this one did! (LOL – a rare event!!) I used More Mustard for my card base, with a border of Really Rust around the Whisper White strip. I also punched a Scallop Edge along Tempting Turquoise and then dry embossed it with the Crop-a-Dile. I tied a strip of Tempting Turquoise ribbon to a HodgePodge hardware paper clip (retired), and stuck on an Earth Elements button (also retired *SAD*) for a bit of interest down the bottom. The stamps used are, Neighbourhood Jukbo Wheel, Trendy Trees (the swirly pattern), and Sincere Salutations. I’ve coloured the images with Blender Pens and chalks and ALWAYS enjoy colouring this way because you can vary the depth of colour to create shadows.